When we are learning something new we go through a process. This process is the same whether you are learning Pilates or learning a new language. It can be broken down into five stages. The first stage is is called unconscious incompetence, or the idea that you didn’t even know what you didn’t know. In terms of Pilates this would be before you had ever taken any Pilates classes or lessons, and maybe before you even knew what Pilates was. The second stage is called conscious incompetence. 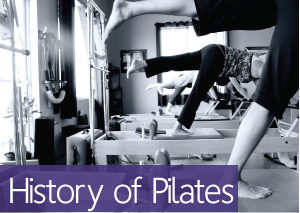 In our Pilates learning curve this is the moment you take your first session and realize what Pilates is, even though you haven’t yet mastered any of the movements or principles. It’s the moment you are aware that this wonderful method exists and you are eager to start learning it. The third stage is called conscious competence. This means you have been properly taught how to do the movements and if you actively concentrate and pay attention you can do them. When you are taking private sessions or group classes, you respond to cues well and if you continue to concentrate you can do most movements with great form. After many, many hours of of practicing in this stage you will start to move to stage four. The fourth stage is called unconscious competence. In our Pilates practice, this is when you automatically know the movements and principles in your body. This is the place in your practice when you are naturally self-correcting. This is the place in your practice when you know the order and flow of the exercises without even thinking about it. Your mind constantly checks in with your body to self correct whether your instructor reminds you or not. Getting to this fourth stage doesn’t just happen overnight – it takes hours and hours of dedicated learning and self discovery. The fifth stage of this process is when we begin to transition to teaching and is often called reflective competence. Something somewhat magical starts to happen as you make the transition from student to teacher. Your understanding of the work in your own body is taken to a whole new level. Not only are you making use of all of your own body’s feedback, but everything you learn as you teach others is also incorporated into your body. You gain a profound understanding that even though you are teaching others you are still a student and always will be. You not only know the information unconsciously in your own body, but you are also able to efficiently teach others what you know. This stage of the process is a time that often has big breakthroughs – both physically and emotionally. Be sure to watch Cassie’s video, where she talk about one of her big breakthroughs as she transitioned into the role of teacher! If you want to learn more about our Body Precision Teacher Training Programs at Rivercity Pilates, call us at 319.471.2380 or Click Here!